Maybe the cold isn't all that bad. I mean, if you’re going to travel to a holiday destination that doesn’t involve cocktails on beaches, you might as well go all out and just embrace the chilly weather. You know what I mean? That’s what Hotel Arctic is. It’s saying, I’m going to go stay in the cold and by god I’m going to actually enjoy it. Purple toes be damned, I’m going to sleep inside a little igloo overlooking a majestic Ice Fjord. I’m going to embrace feeling small and insignificant next to the hulking icebergs and sweeping plains of blue and blinding white. I’m going to experience something totally unique, totally breathtaking, totally freakin’ freezing but oh so worth it; something that will make beach holidays seem cliche and frankly a bit unexciting. I’m going to go to Hotel Arctic. What makes Hotel Arctic special? 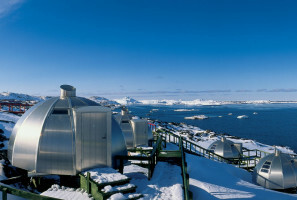 Hotel Arctic is the most northerly 4-star hotel in the world. All rooms at the hotel have a view out to the dramatic Ilulissat Ice Fjord. If you want to do something really unique, go from May to September, when you can live in a Hotel Arctic igloo. The harshness of nature swirls around your tiny cabin while you enjoy modern comforts inside. 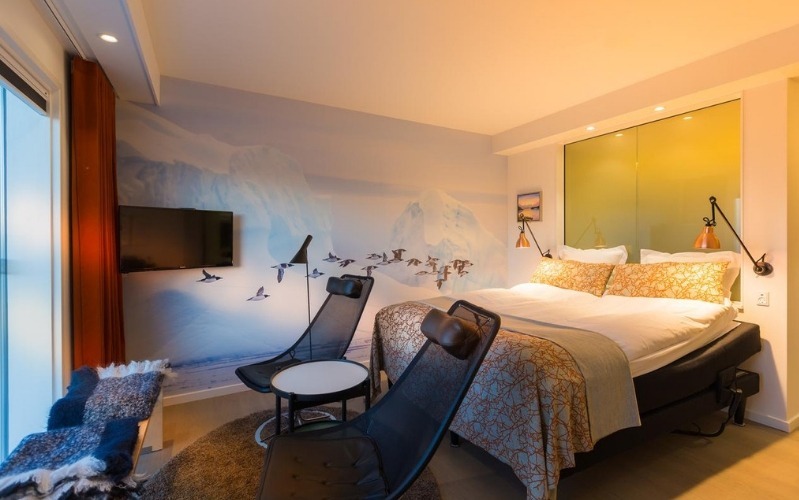 Hotel Arctic also has a 5-star conference centre, incredible restaurants, and the opportunity to go on amazing adventures in the surrounding area, like kayaking and boat rides around the glaciers. So having to rug up in a goose-down jacket and thermal underwear isn't sounding so bad anymore, is it? Embrace the cold, and you'll get to experience something few people ever do. 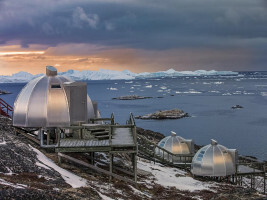 Stay in a room with a view out to the majestic Ilulissat Ice Fjord, or stay in an igloo right amidst nature!